Worst Case Scenario by Helen Fitzgerald @FitzHelen @OrendaBooks #whatcouldpossiblygowrong? Oh my! What a book! Worst Case Scenario is a book you HAVE to read. Screamingly funny, indecent, salacious and that’s just Mary’s life. Mary Shields is a probation officer; one of the best as it goes. She does her best for her clients who try and for those who are hopeless cases, not through evil or inherent badness, but just because of circumstances. Where she has an issue though, is with the wife beaters, the women killers and the kiddie fiddlers, but then, who doesn’t? She is also pretty much at the end of her tether with a probation service that cares more about clocking on and off and observing the minutiae of flexi-time rules than in dealing with their charges. Her job is on the line and she has had it up to here. Mary’s had enough. She’s decided to go and she doesn’t give a flying f*** what her bosses at the service think or what cases they hand her, just along as she can get through the next four weeks until it’s time to go. It really doesn’t help that Mary is menopausal and that her man, Roddie is off working away. It’s while he’s away that she has a serious tendency to overindulge in the comfort of her own home; it helps her get rid of the day and prepare her for another sweaty night. God, but I love this character, so brilliantly written by Helen Fitzgerald. She is tangible, fleshed out, immensely likeable; with a foul mouth and a kind heart. She makes just the worst decisions, often for the wrong reasons, driven by moments of menopausal insanity and a massive dislike for the worst of her clients. One day, you just know she’s going to blow and take that one step too far. She can be self-centred, yet she cares massively for her family and would do anything for them. She is over the top – the kind of woman you’d love to go and visit, because you could leave when it all got too much. Liam McDowell is that step too far personified. He’s taking the piss and Mary won’t stand for it. When she finds out what he is up to, she pulls out all the stops to make sure he won’t get away with it, even if some of those stops are not strictly, well, kosher. This book is so beautifully written. It’s short and pithy, hilarious, and emotionally intense. Sometimes it was hard to tell whether my tears were from laughing or crying. Dark, brilliantly written, redolent with a delicious, poisonous humour and populated with fabulous characters; the kind of characters you’d like to see illustrated by Frank McFadden, this is a psychological thriller like no other. Helen Fitzgerald knows what she’s talking about and that’s why it works, but my goodness it is hard-hitting, gritty and outrageously, darkly, coruscatingly funny. I can’t think of anyone else who could have written this. Helen Fitzgerald has a startling and unique voice and thank goodness for it! Helen FitzGerald is the bestselling author of Dead Lovely (2007) and ten other adult and young adult thrillers, including My Last Confession (2009), The Donor (2011), The Cry (2013), which was longlisted for the Theakstons Old Peculier Crime Novel of the Year, and Viral. Helen has worked as a criminal justice social worker for more than a decade. She grew up in Victoria, Australia. She now lives in Glasgow with her husband and two children. 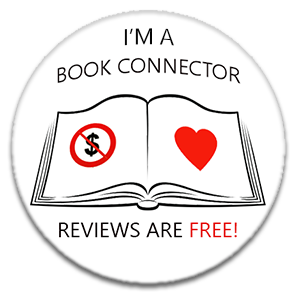 This sounds great – the downside of the book community – my TBR is never ending – Ha!